The health and productivity benefits that come from using a standing desk regularly are mighty impressive. It might just be the perfect addition to your office life. The start of the year sees a resurgence in absurd wellness fads and diets. 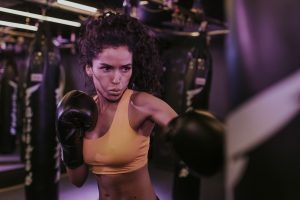 We should just be upfront and honest with ourselves from the get go – lemon detox diets and vibrating planks that wobble the fat away aren’t going to make a big difference – not unless we’re putting in the hard graft elsewhere. Everyone wants a quick and easy fix to often complex health problems. But we all know that meaningful change has to come in the form of long-term lifestyle changes. These can be big or small; from committing to drinking two litres of water a day, to cycling to work or signing up to a half marathon right here in the City. All great options, but we often ignore simple changes we can make at work – where we spend the majority of our time. Admittedly, it can be really hard to focus on health when you are in the office, as most of us are sat all day long, only getting up to make more tea and use the loo. This leaves us feeling tired and groggy without actually burning calories or energy in a healthy way. Adopting a standing desk can be an incredibly worthwhile investment that combats this fatigue. Many companies offer them to staff if requested, and their use is even encouraged by the NHS and the health secretary, who himself uses one. Research has found that sitting for eight hours per day can increase the chance of premature death by a whopping 60%. Research also shows that using a standing desk increases productivity by 46%, this is because by standing more, circulation improves, helping staff focus, concentrate, and burn up to 50 additional calories per hour. If you stood for four hours of your working day, that is an extra 1,000 calories burnt per week (Monday-Friday), or 52,000 per year. To put that in context, the average calories burnt while running 5km is around 400 calories. So, by standing for four hours per work day, staff are burning the same calories as running two-and-a-half 5km runs each week. Once you embrace using a standing desk, increased productivity and calories burnt aren’t the only benefits. It reduces the chance of cardiovascular disease, diabetes, and even some cancers, while also lowering blood sugar levels and increasing circulation. Standing desks even improve posture, which reduces strain on your neck, arms and lower back. Lower back pain affects nearly 50% of all UK adults, and last year cost employers over 10million sick days. Standing desks start from around £150 and can be adjusted to the user’s height. What’s even better is they can easily be installed on top of any desk, ensuring freedom to pop-up wherever required in the office. 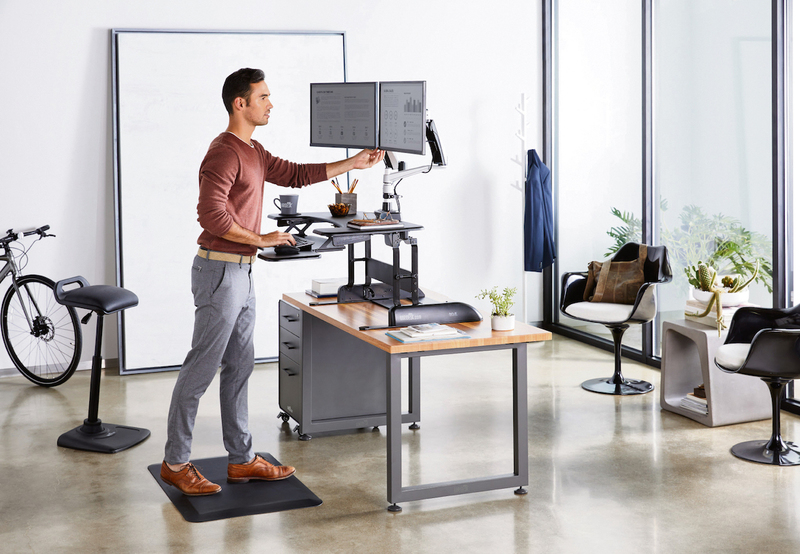 Users can also choose to move from a sitting to a standing position throughout the day, ensuring total comfort as their body adapts to the change in posture. So there you have it, make a stand for your health in 2019.